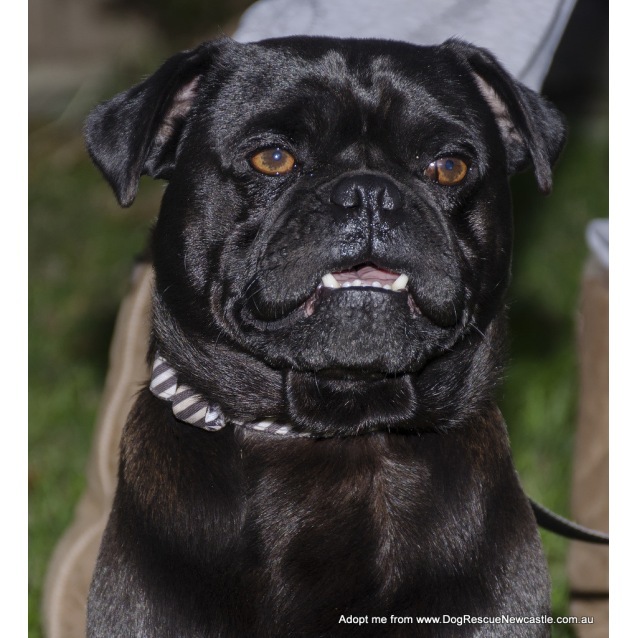 Introducing the amazing Pugalicious - a 4yr old pug cross! You have to love his squishy face and bubbly personality! 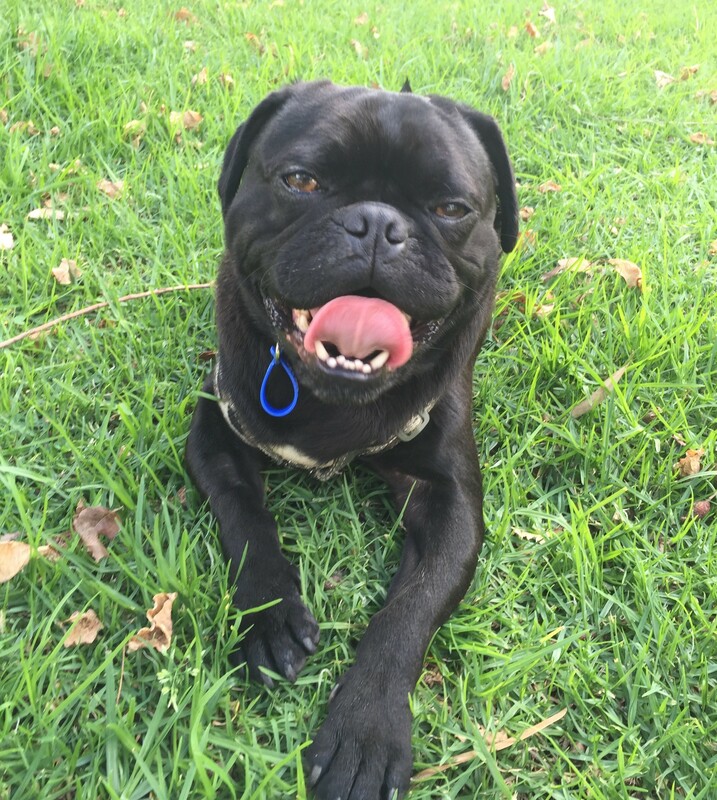 Pugalicious enjoys getting out and about on walks and car trips with his foster mum and fur siblings. He walks very well on lead so it is great fun for everybody. 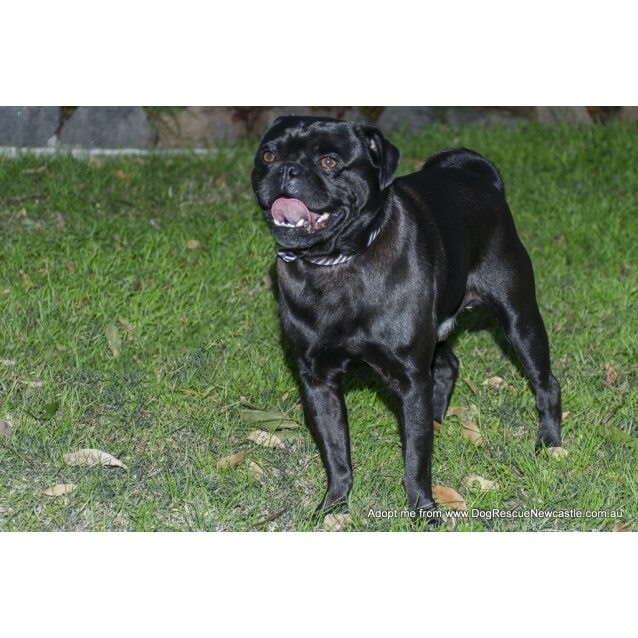 He attracts a lot of attention because, well, who can resist a little black pug? Pugalicious would love to have a forever home with a small doggie friend to play with. He is quite active and curious so he will need a family that will keep him stimulated with play time and exercise. Although he loves his people and enjoys a cuddle, he's not your typical little quiet lapdog - he loves to play. 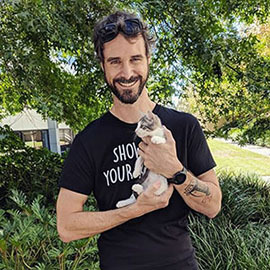 He is in foster care with a small female dog and he adores running around the yard with her - he is best suited to smaller dogs as he is most confident with them. 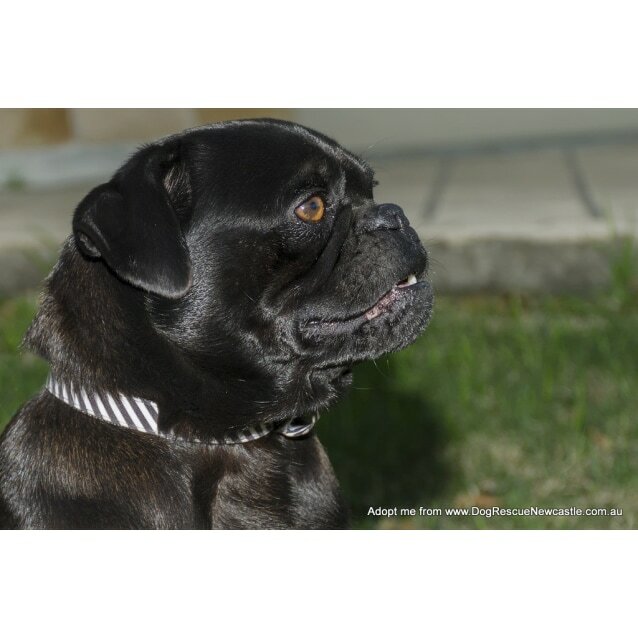 His preferred companion will be one who is playful and tolerant of Pugalicious' zest for life. He isn't currently living with children but when he has met them on walks he has been good with them. We recommend that any children in his forever home be above 8yrs old. Pugalicious is doing well learning basic commands but there is always room to improve so he will need a family who will continue his training. He is toilet trained and adapts well to meeting new people - he can take a little bit of time to settle into new routines which is to be expected for most young active dogs. 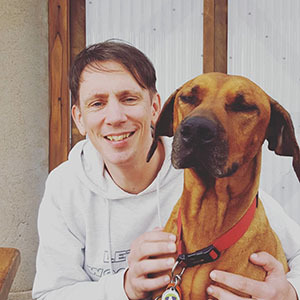 He absolutely loves people, dogs and cats, and he has even seen some bunnies on his walks and pays them no attention. Pugalicious loves food so much he is a guzler. He needs to be supervised when eating to slow him down. 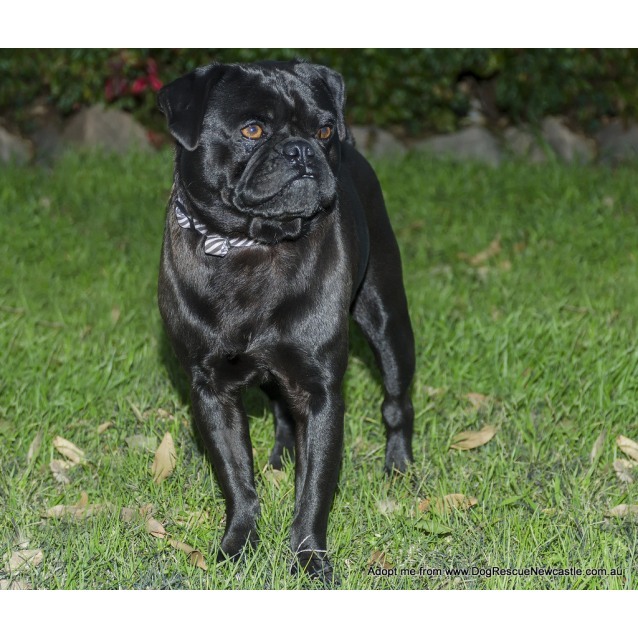 Pugalicious' new home will require secure fencing (no rural/wire fencing) as he has a curious little personality. He is an inside dog and must sleep inside with his people. He enjoys a romp in the yard and loves to roll on the grass like a tumble weed so a yard is preferred for this reason. 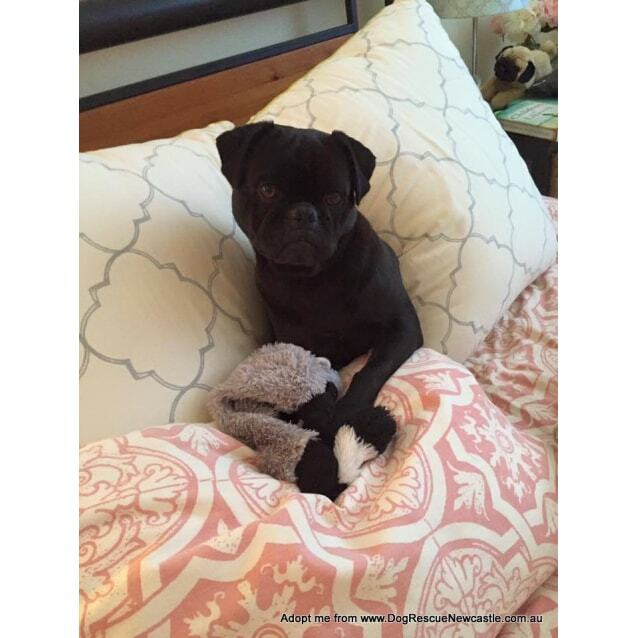 He enjoys sleeping on your bed, but will snuffle throughout the night as pugs do! We would like to receive inquiries from families experienced with the pug breed and personality and their related health complications. 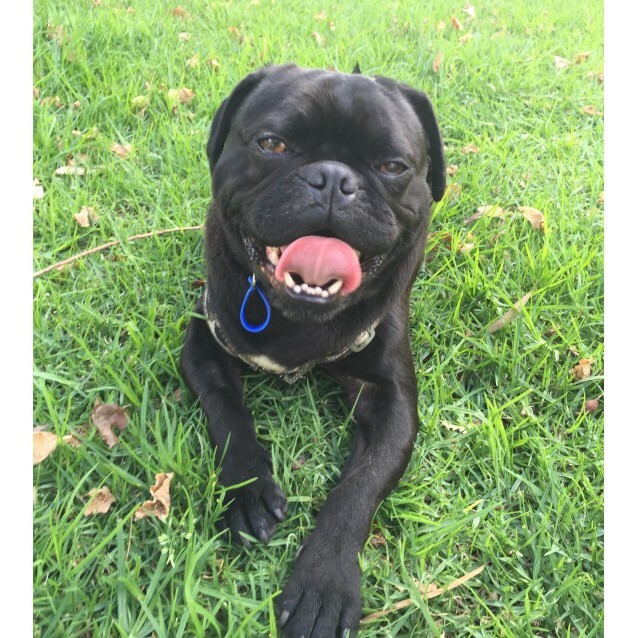 For more information or to meet Pugalicious, please email Jo on jo.payne.aus@hotmail.com . 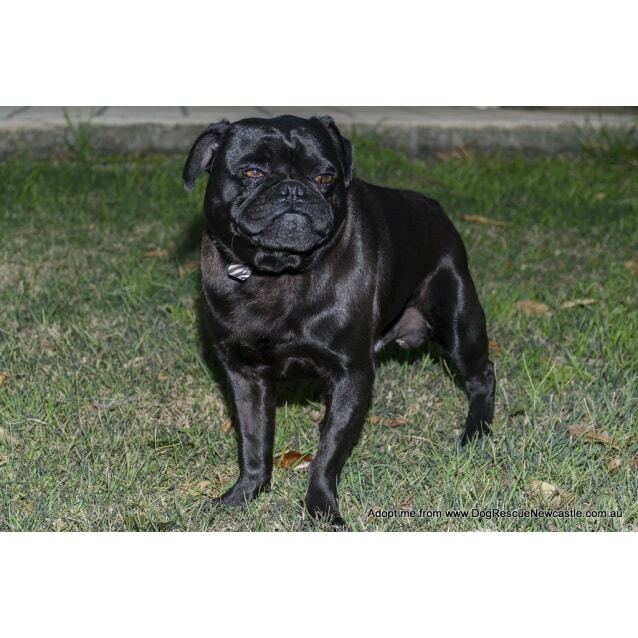 Pugalicious is in foster care near Wyong on the NSW Central Coast and is not available for adoption interstate.